Eyeshadow primer is a makeup lovers dream. 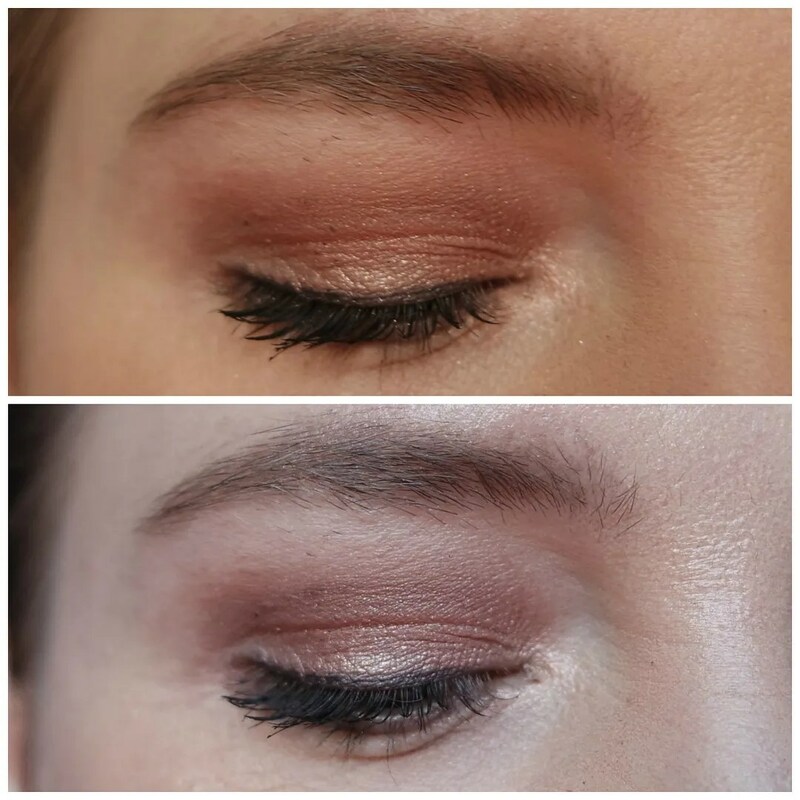 It makes sure your eyeshadow stays put and makes the color payoff more vibrant. Before I started watching youtube videos I had never even heard of it. It’s really one of those products that has slowly made its way onto the consumer market with the Urban Decay and Too Faced versions being the cult favorites. But when high end brands do something like this, drugstore brands can’t stay behind. 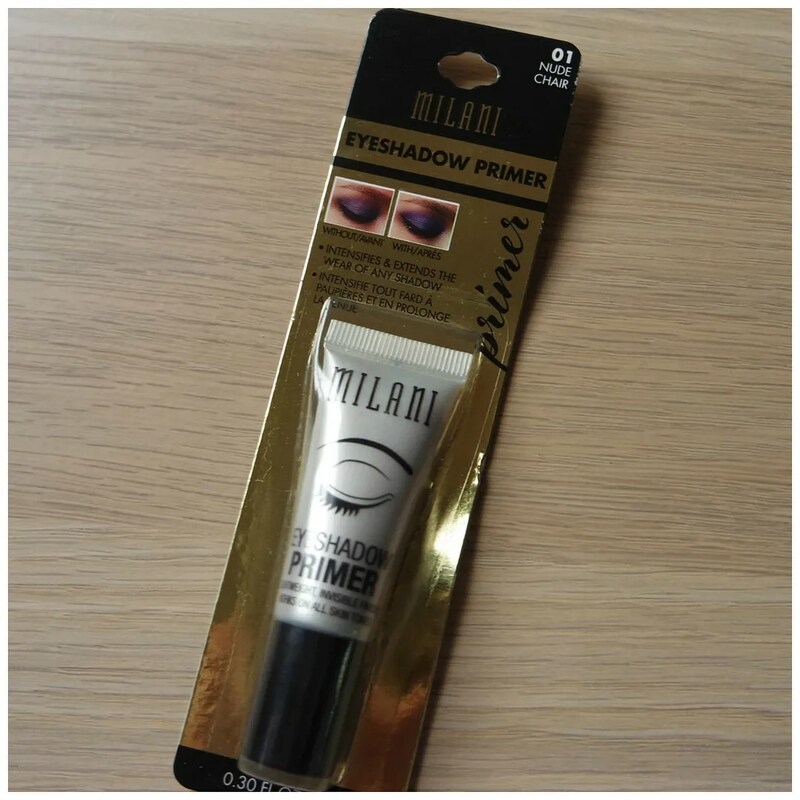 Today we’re looking at the Milani eyeshadow primer. How much you pay for this product depends on where you buy it. In the US this retails for $5.83 via Amazon. In the Netherlands this retails for €8.49. The difference of course comes from the fact that this has to be imported as Milani is sold exclusively in the US drugstore. I bought mine while on a trip to the US, but if you’re not that lucky, then you can find this online in many places. This definitely looks like a drugstore product in its packaging. In the US much makeup still comes packaged like this, while in Europe the shelves seem a little more sophisticated (Europe also has testers for almost everything, the US does not!). In any case, it gets the job done, but it’s nothing special. The tube itself isn’t anything to write home about either. It’s a thin nib, like the Too Faced primer that I don’t really care for. 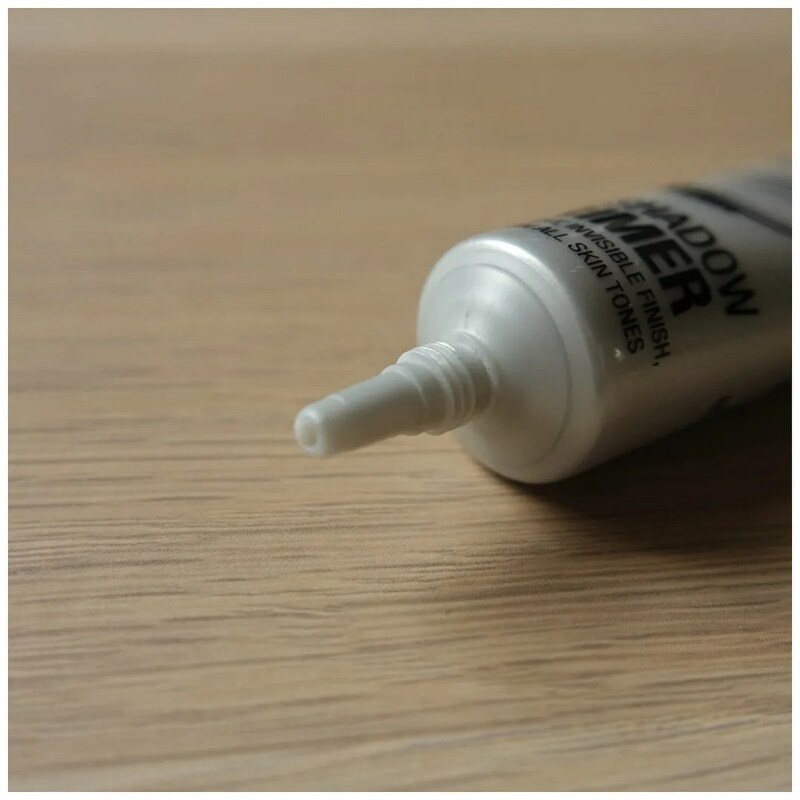 I prefer the doe foot applicator of Urban Decay’s Primer Potion as it allows you to scrape out every last bit. I didn’t end up swatching this for you, because there was nothing to see. With eyeshadow primer, a little goes a long way and so you only need a teeny tine drop which you can apply to both lids. This means that it’s pretty much invisible in a picture especially when you rub it in. This simply disappears against my skin. Since this is a clear formula, this doesn’t do anything for correcting my natural lid color. So if you truly want my shadows to pop, I am still using my trusty MAC Paintpot in Painterly combined with a cream shadow for setting. That simply allows for better color pay off of my shadows, as well as better blendability. The question is of course: does it work? Lo and behold the before and after pictures. Above you see my eyelook after it was freshly applied. Below the same eyelook almost 10 hours later. You can see a little bit of darkness in my crease where the liner shade possibly transferred a little onto my lid, but that’s it. The shadow has lost some of its shine and intensity, but in terms of making your eyeshadow stay put, this definitely gets the job done. Is this the drugstore eyeshadow primer everyone has been waiting for? Yes in terms of making shadows last. When it comes to ease of use I prefer a doe foot applicator. And that is also available in the drugstore. The NYX HD shadow primer works just as well and has a doe foot applicator. It is also more affordable at €6.99. So while a good product, I think there is another drugstore brand that does it better. 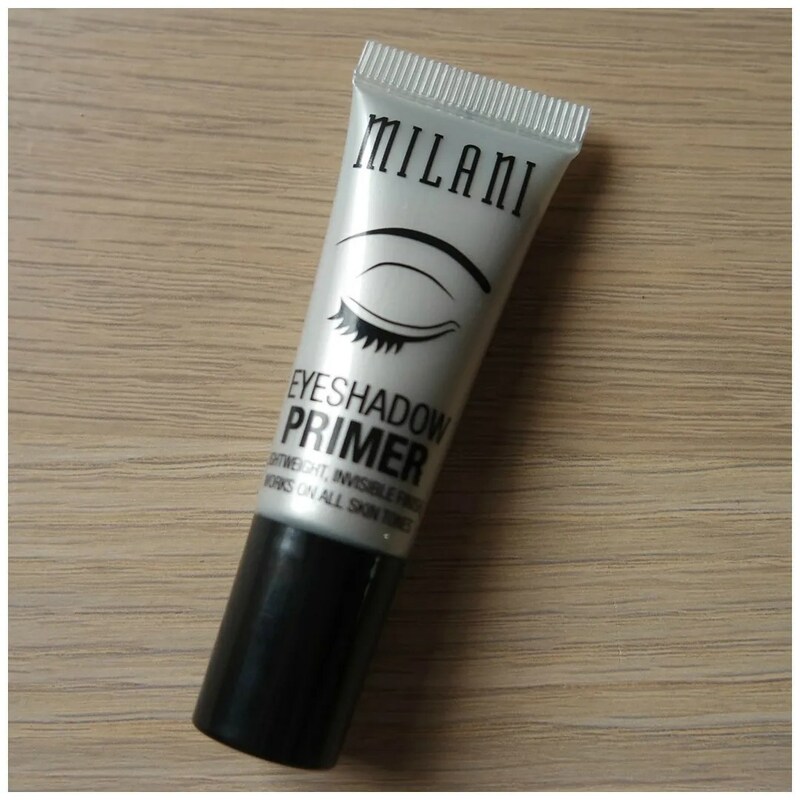 What is your favorite drugstore eyeshadow primer? I wish you a great weekend…. We are behind in everything!! Including drugstore packaging and testers. It’s really annoying! The US is terrible when it comes to packaging! And why are there no testers? Because we’re cheap? I have no clue! Ulta has testers and Sephora, but no drugstores. I know, really stupid.